The ban on in-flight phone calls was almost lifted under the Obama Administration, but the new Federal Communications Commission (FCC) Chairman is putting a nail in that coffin. Imagine being on a four-hour flight beside a man negotiating a boring business deal or a woman detailing every aspect of a gruesome medical procedure. And now multiply those phone conversations across the cabin of a plane. That’s just for domestic flights. This was the future of air travel if FCC rules were implemented. The agency would relax rules on using certain frequencies on aircraft allowing airplanes to enable mobile calls. “I stand with airline pilots, flight attendants, and America’s flying public against the FCC’s ill-conceived 2013 plan to allow people to make cell phone calls on planes,” Pai, a Republican, said in a statement. Valuing a quiet moment is right. The ban on cell phone use dates by to the early 1990s when the government was concerned about interference from wireless networks in the ground affecting flights, but apparently advances in technology have eliminated those concerns. The ban is really about annoyance at this point. Passengers can still text and use the internet. When the former FCC Chair Tom Wheeler proposed lifting the in-flight phone call ban, he was acting apart from other federal agencies and industry leaders who did not support this effort - setting up potentially conflicting rules. Ars Technica explains that the backlash against Wheeler’s proposal was loud and swift. At the time, the FCC said its only role was to "examine the technical feasibility of the use of mobile devices in flight" and that the Department of Transportation would still be responsible for determining whether "allowing voice calls is fair to consumers." Wheeler's proposal received extensive criticism and the FCC never finalized it. Other government officials and lawmakers proposed additional bans that would have prevented in-flight calls even if the FCC ban was eliminated. For example, US Department of Transportation Secretary Anthony Foxx said in December 2013 that his department would consider imposing its own ban on in-flight calls. 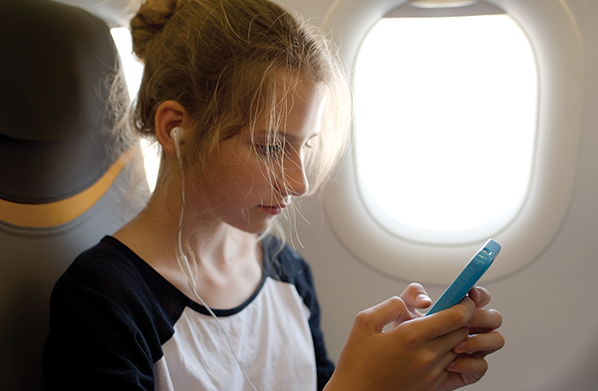 In February 2014, the US House Transportation and Infrastructure Committee voted to ban cell phone calls during flights. This is yet another good effort by the Trump FCC to scrap ill-conceived government proposals by the previous administration. It joins the laundry list of reversals from net neutrality rules to cutting waste in the broadband subsidy program. While this proposal never took off, Pai’s announcement will ground this effort for good. We passengers can once again enjoy our quiet flights in peace.